BECIL Jobs Recruitment Notification 2018.Broadcast Engineering Consultants India Limited, BECIL inviting applications for the positions of data entry operator jobs. The recruitment of contenders is on contract basis for a period.Interested and Eligible candidates can apply for the positions. Graduate degree holders will get Rs.18332/- per month and non-graduate will get Rs.17498/- per month. Only Offline mode of applications will be accepted by BECIL up to 17th September 2018.
http://www.becil.com/ is the link for contenders to download application and send to below given address. 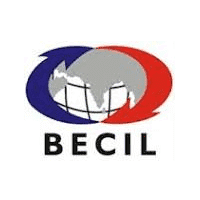 Assistant General Manager (HR) in BECIL Corporate Office at BECIL Bhawan, C-56/A-17, Sector-62.